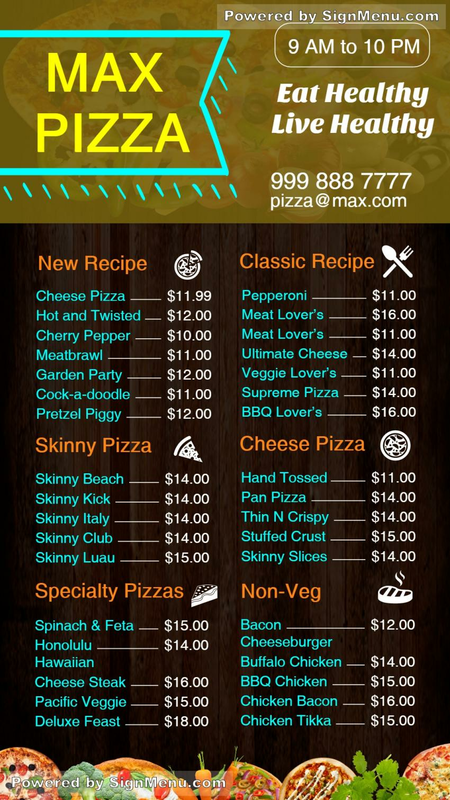 This template, with numerous pizza offerings, is best showcased on a digital menu, and placed at the entrance and indoors of the restaurant. Quick service offerings present a dynamic setting - with the menu up-sells consistently changing with the time of the day and the demands & preferences of the customers. This template provides a benchmark for your actual menu and is ready for download and use. Pizza menuDark brown background colorYellow complimentary color.